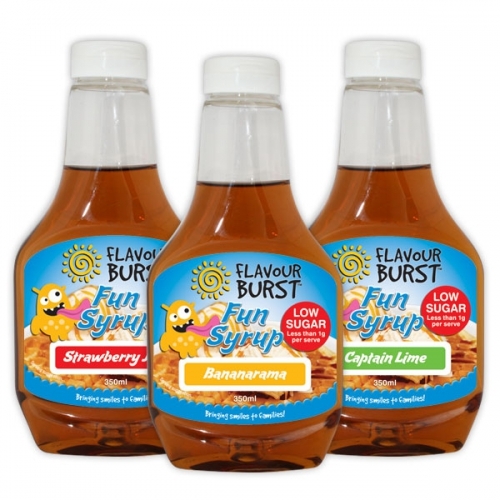 Low Sugar, Less than 1g per 20ml serve. 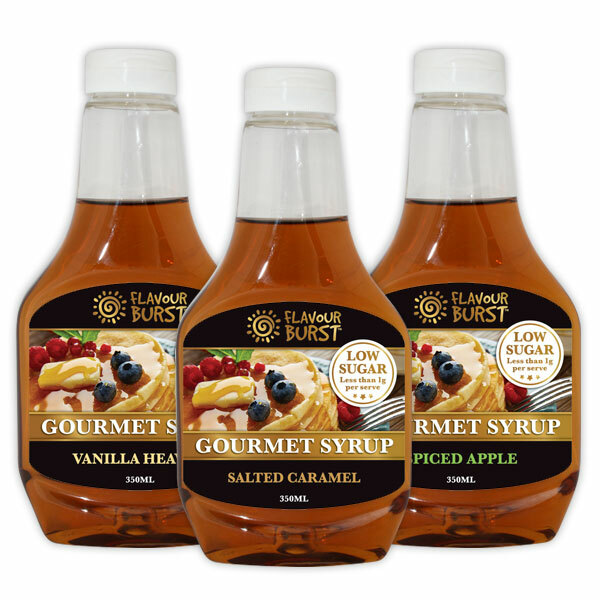 Use as toppings on desserts, flavour your coffee or on pancakes and icecream. Available in a 350ml plastic bottle. Deluxe flavours like Butterscotch and Cherry Pie.